The man behind one of France’s most prestigious and innovative fashion houses, and the face of some of the most influential couture lines of the last three decades, Christian Lacroix is now lending a hand to a range of exquisite stationery, note books and paper products that you will just love. Christian Lacroix Papier is crafted from the finest papers and embellished with intricate and unique illustrations inside and out. Each piece in the collection is a work of art, designed to bring a creative element to your writing. After all, every wordsmith needs a muse. Traditional pattern work meets fabulous modern colour within the Paseo notebook range. Each notebook is fixed with ruled pages, a chevron ribbon bookmark, and an exuberantly embossed cover that radiates with a gradient of brilliant colour. 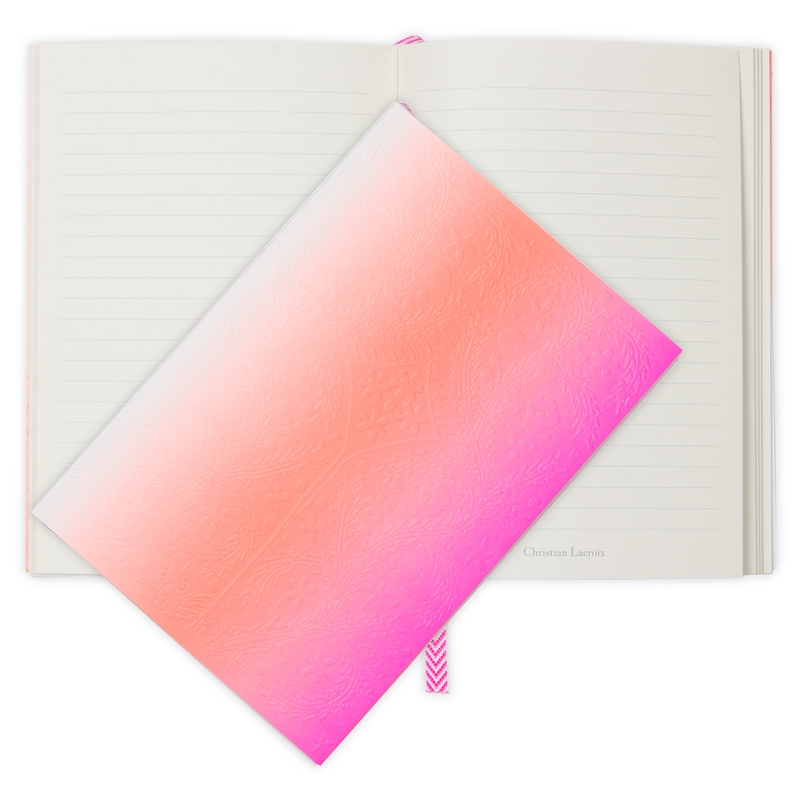 Please note that some computer monitors are unable to display neon colours – so this notebook is much brighter in person than it may appear on your screen! Dimensions: 14.5cm (w) x 21cm (h).